We live in a digital age and many high school students today document much of their lives online. When applying to college, all aspects of an applicant are taken into consideration, and often times this can include his or her online presence. Everyone is aware of the practice of social media screening for job applicants. In aCareerBuilder survey last year, 37 percent of employers said they used social media to screen applicants, and over 65 percent checked out applicants' Facebook profiles. But the social media surge hasn't stopped with professionals. Now, more than ever, college admission officers are checking up on applicants online, too. Kaplan's eye-opening survey of admissions officers last year showed that 27 percent of respondents said they had Googled prospective students, and 26 percent had looked up applicants on Facebook. And of those officers screening applicants' social media profiles, 35 percent said they found something that negatively impacted an applicant's changes of getting in, nearly tripling from the year before. Looking at these numbers, it's clear that high school and college students need to be more careful about what they post on the Internet. I tell all of my students, "If you don't want your grandparents to see it, don't post it online." Even if you feel like your privacy settings are impenetrable, don't underestimate your vulnerability. If you put something on the Internet it can be found! I've seen cases where students, and even parents, have sent screenshots of social media "friends" participating in "bad behavior" to admissions offices, even if their profiles were private. And when officers get tips like that, they are required to follow up. Don't try to hide! Posting under a fake or altered name can be just as unfavorable as engaging in "bad behavior" under your real name. You're not as invisible as you think. But keep in mind: Just because admissions officers are looking at your online profiles doesn't mean they're searching for red flags. They know that your online presence is just an extension of yourself, and maybe they want to get a better sense of your personality, or just put a face to a name. Follow the schools to which you are applying in order to stay informed about campus events and any other important news that may be relevant to your application or admission decision. This is also a simple way to demonstrate your interest, and that interest quotient is taken into consideration when reading applications. Just like your application, your online presence can be used to highlight your interests and activities. Post photos from your community service projects, share relevant articles about news events you're following, and engage with people and organizations that interest you. 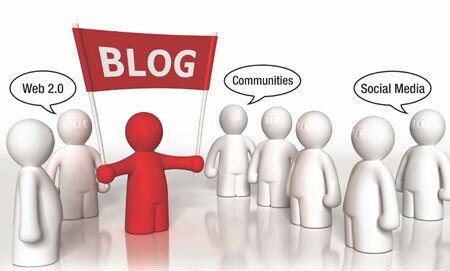 If you keep a blog, use your social media profiles to promote it! It's a great way to gain exposure for your work and show admissions officers another example of your writing style. Use Twitter to show how creative you can be in 140 characters or less. "Quick take" essays that range from a couple of words to one or two sentences are becoming more common on application supplements, and staying active on Twitter is a great way to practice. If you're interested in photography or design, use your Instagram account to display some of your work. It's another outlet that often comes up in online searches and is a great tool to highlight your talents and interests on the web. College applicants aren't the only ones stepping up and cleaning up their online presence, however. Increasingly, schools are using their own social media accounts to connect with future applicants in a positive and informative way. A recent piece in Dartmouth's student paper highlighted how the Ivy League university is just one of many schools using social media to conveniently connect with future, current and prospective students. For admissions offices, social media allows them to reach applicants in a familiar way, allowing for more opportunities to address questions and concerns that students may bring up on Twitter, Facebook or Tumblr. Remember that social media outlets are tools to stay connected and informed and are important to pay attention to when going through the application process. Be careful not to let it become something that can be used against you. Instead, use it to your advantage! Stay smart online and in the classroom, and you'll be on your way to getting into your best-fit college or university!